Virtua Tennis 4, the #1 tennis experience, gives you a chance to volley with the best lineup of stars Virtua Tennis has even seen. The roster starts with the world's biggest champions, including Rafael Nadal, Roger Federer, Maria Sharapova, and Andy Murray, then adds first-time Virtua players Fernando Gonzalez, Caroline Wozniacki, and other up-and-comers. Turn the tide by patiently building up Match Momentum to increase your player's confidence, allowing you to pull off incredible shots right when you need them most. Head to the top in a new World Tour where you'll live the life of a star on-court and off. Explore a retooled, more competitive online hub, play inventive mini-games, and more. In 4.0 and later when starting a game with a Wii Remote /w MotionPlus or connecting it in game causes a Wii Remote disconnect. Refer issue 8768. This may be resolved by using a NAND dump from a Wii. The graph below charts the compatibility with Virtua Tennis 4 since Dolphin's 2.0 release, listing revisions only where a compatibility change occurred. 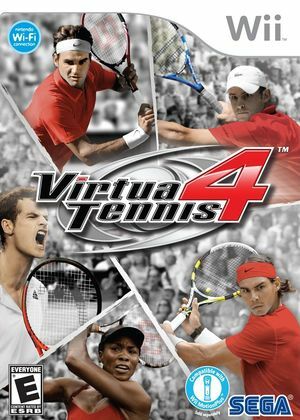 virtua tennis 4 on dolphin emulator.